Recently with the start of my yoga teacher training I’ve been thinking about mantras, and more specifically thinking – should I have one??? A mantra (according to our good friends at Wikipedia) is “a sound, syllable, word, or group of words that is considered capable of “creating transformation”. The word comes from Sanskrit and consists of the root man- “to think” and the suffix -tra, meaning tools or instruments, translating to “instrument of thought”. …and everything in between, but nothing seemed quite right. Since there was an option to create a custom design we started trying to think of what really spoke to me and my running journey. I initially thought maybe I’d have one made that says “BE POSITIVE” which was Kerry’s motto while she was battling cancer (you can read Kerry’s story here, she was a large part of why I started running), but that was Kerry’s, not mine. I didn’t have my own mantra…or so I thought. It’s perfect. I hadn’t even realized it, but it’s what I repeated to everyone that asked me why I was training for a marathon, “I wanted to challenge myself”. “Challenge Yourself”. It’s my mantra. reading your blog is one of the most “moving” parts of my day….. I look forward to them and following you on your incredible journey…. and learning from you. : ) Thanks, what a nice compliment! I really love writing it and documenting everything not only to share, but to have to look back on. 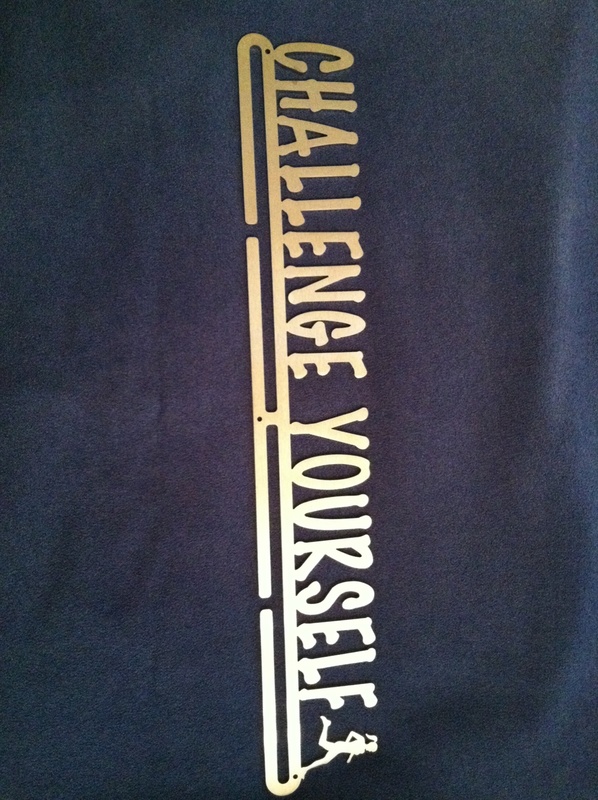 Challenge yourself – what a great mantra! I like the idea of having my own mantra – I need to think about what mine would be. It’s funny, when I tried to think of what my mantra would be myself I couldn’t come up with anything, but to my husband it was obvious…I guess I wasn’t really listening to what I was telling people! Now whenever I “challenge” myself to something I feel much more accountable to myself to push through it and make sure it gets done! Congratulations on the Princess Half! And please, don’t apologize about the long comment, it’s so nice to know when others can identify with an experience I write about. 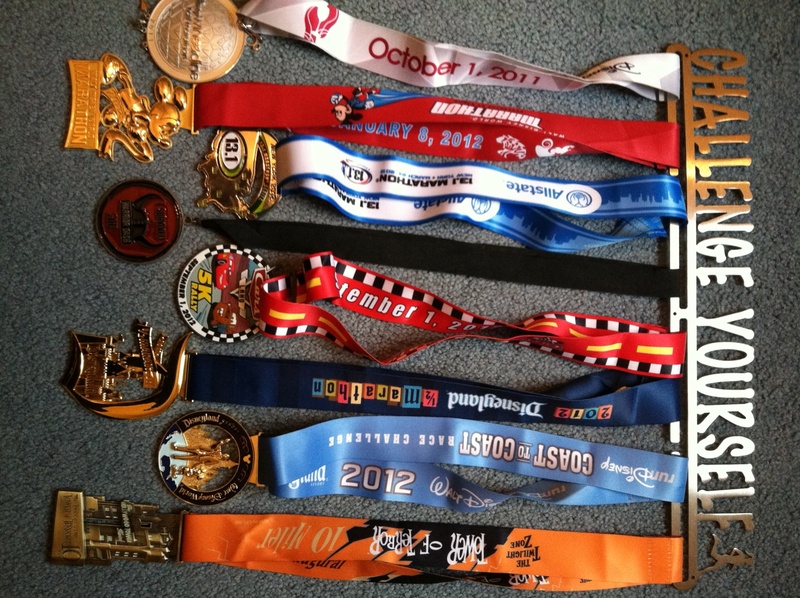 I get discouraged sometimes too, I think we all have good and bad running days, but I try to remember how amazing crossing the finish line is and how far I’ve come! 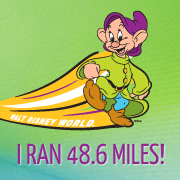 I’ll be at the Wine & Dine half this year too…please say hello if you happen to see me!